Welcome to Design Board Monday! 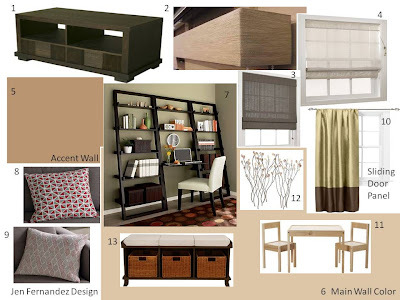 Today I am sharing with you a design board I recently put together for a new client. 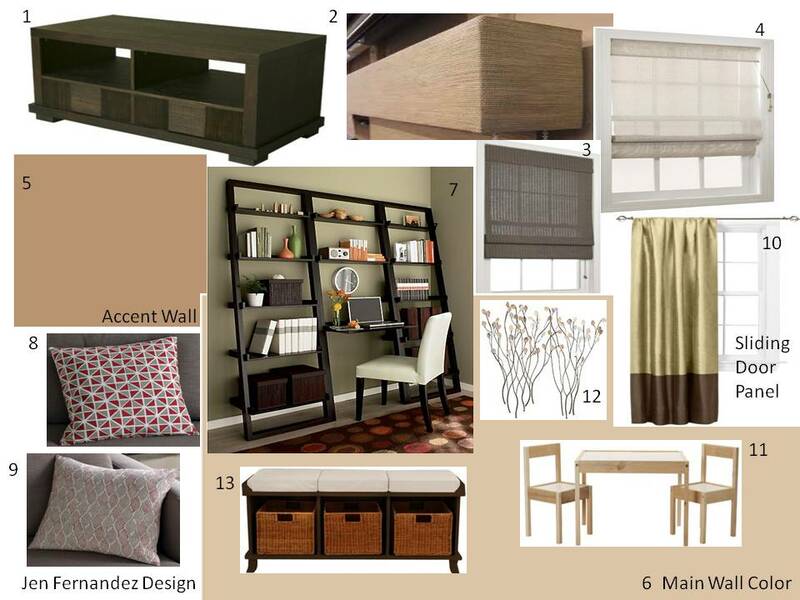 We are currently working on designing her family room. Her style as she puts it is transitional and she wanted to continue with that style for the room. The client already had a general idea on the direction she wanted to take with designing the room. She just needed a little guidance from me on putting her ideas all together and coming up with an actual design plan. After a consultation with her I took her ideas, her needs and her wants for the space and came up with a design plan for her. Here it is. This is what is so great about design boards. It helps a client to envision what their space can potentially look like before ever moving forward. During the consultation the client told me they were keeping the leather sectional that they recently purchased, the rug her mom had gifted them and for now the ottoman that came with the sectional. Other than that everything else was going. After sending over the design board to the client via e-mail, she e-mailed me back and told me she loved what I came up with. So, now we are working together on bringing the design to life. The painting of the room has just been completed. She was able to take advantage of some of the sales that were going on and purchased a few items off the source list I provided her. Even a main furniture piece has been picked up and assembled as of last night. Furniture placement also has taken place as per my plan. Boy, they have been very busy making things happen! Of course there have been a few tweaks to the design board but the general feel of the design of the room is still there. As I am told, we are still shooting for a deadline of April 8th. That's not too far off. I'll be at the client's house tomorrow to work on a few things and further discuss a couple details that still need to be addressed, like window treatments. But overall I'm very happy with how things are going. I think I am just as excited as the client to see the room all pulled together. Things are definitely moving along. I can't wait to show you the final reveal of her family room! I'll keep you posted on our progress, so stay tuned!